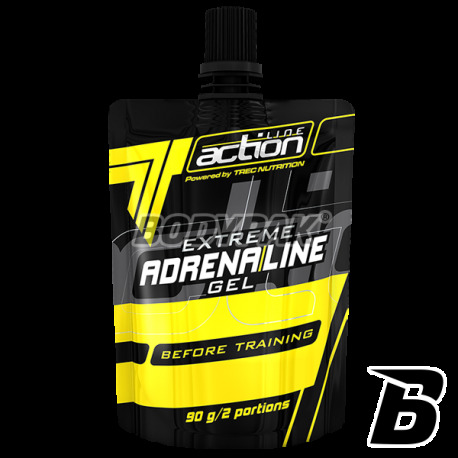 Professional gel pre-workout, providing a strong and long-lasting stimulation necessary before intensive and demanding training. Amazing action through a comprehensive configuration, you will not believe until you try! It is a gel derived from the innovative series of supplements for athletes, whose composition and taste stand on the highest level. In the offer you will find 4 products for use at different times before / during / after exercise. Improve your performance today! 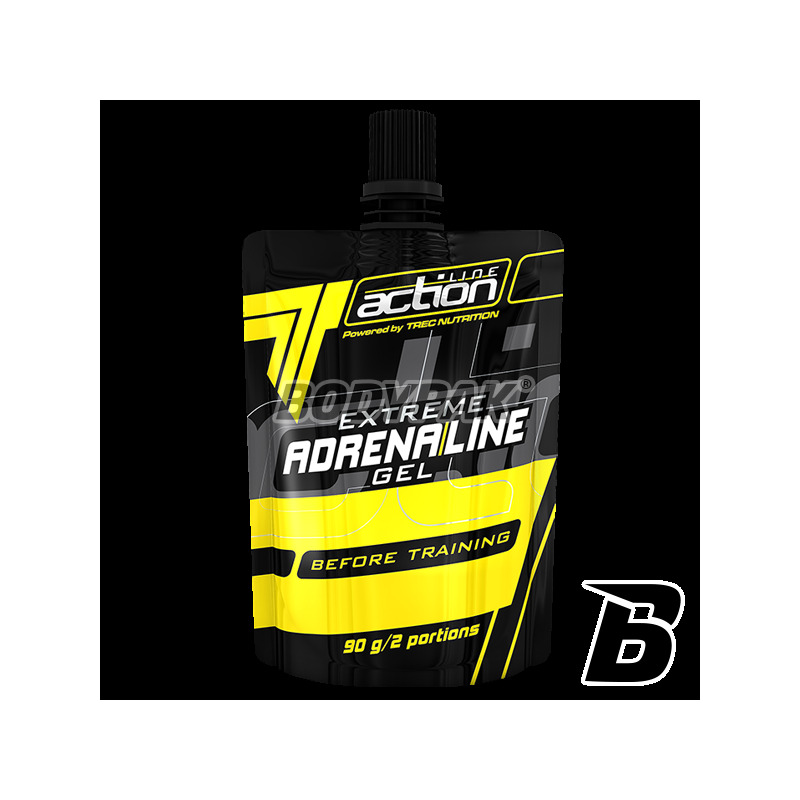 TREC ADRENALINE GEL is a professional gel pre-workout, providing a strong and long-lasting stimulation necessary before an intense and challenging effort. It contains a unique complex of active substances that mobilize the body to intensive work, which increases the amount needed to power muscle contractions. The composition of a lot of active substances, which are successfully used in many sports. It is worth noting a high content of beta-alanine supplement, which raises carnosine stored in the muscles effectively increases exercise capacity of your body. Thanks to a special technology HYDRO GEL active ingredients contained in the gel are not only much more stable, but above all highly bioavailable. Their absorption starts already after a few seconds in the mouth, thus rapidly absorbed into the blood. In this way, the muscle fibers are supplied quickly with all the components necessary to generate fast and intense contractions. This increases their strength, power and endurance necessary to maintain effort at the highest level of intensity. YOU CAN MAKE A HAPPY WITH GEL TREC ADRENALINE! 45-90 g of gel (0.5-1 sachet) eat small portions immediately before training. Avoid combining with other products containing caffeine! Warning! The product has a strong aphrodisiac effect, not used before bedtime! Składniki: woda, dekstroza, beta alanina, l-tyrozyna, jabłczan cytruliny, substancje zagęszczające (guma guar, guma ksantanowa), inozyna, aromat, kofeina bezwodna, substancje konserwujące (sorbinian potasu, benzoesan sodu), ekstrakt Zielonej Herbaty (Camelia sinensis) [80% Polifenoli, 30% EGCG], barwnik - cochineal, regulator kwasowości (kwas cytrynowy, wodorotlenek potasu), ekstrakt Gorzkiej Pomarańczy (Citrus aurantium) [30% Synefryny], substancja słodząca - sukraloza. Stosuje zawsze przed treningiem wytrzymałościowym, kiedy mam gorszy dzień i jestem zadowolony. Dodatkowo fajna opcja, bo to dwie procje.